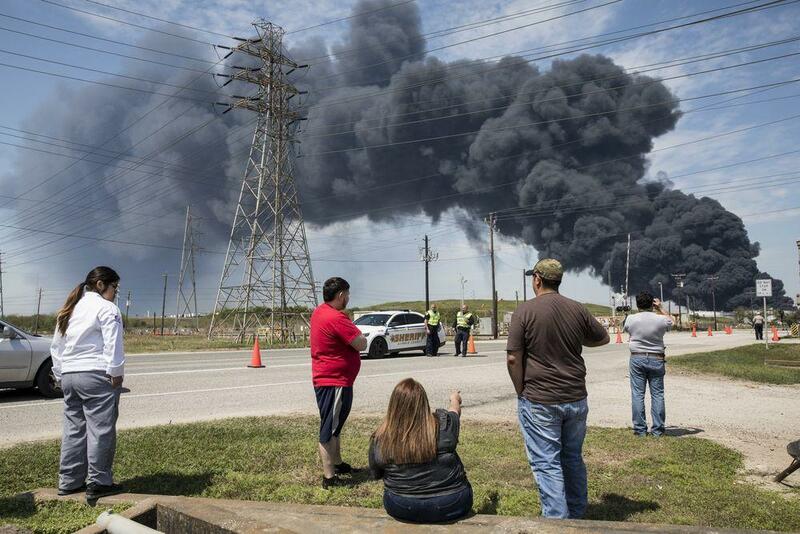 After five days of the nation being captivated by dramatic images of flames and smoke plumes hovering above the Houston area from the Deer Park petrochemical fire, which had initially triggered an emergency shelter-in-place order from city authorities when it began last Sunday, firefighters had finally extinguished the raging inferno on Thursday. But the Intercontinental Terminals Co. (ITC) chemical storage complex has again reignited late Friday afternoon, which once more sent a massive black cloud into the sky, reportedly visible from 20 miles away, and again potentially exposing residents to dangerous airborne chemicals as well as leaks into nearby waterways. Harris Country officials now say multiple tank fires are once again raging uncontrolled, at two separate sections of the Houston area disaster site. Deer Park's office of emergency management called the new smoke plume a "flare up" as part of "a developing incident." "The City of Deer Park is not issuing a Shelter-in-Place order at this time but we are monitoring the situation," the emergency management official said. 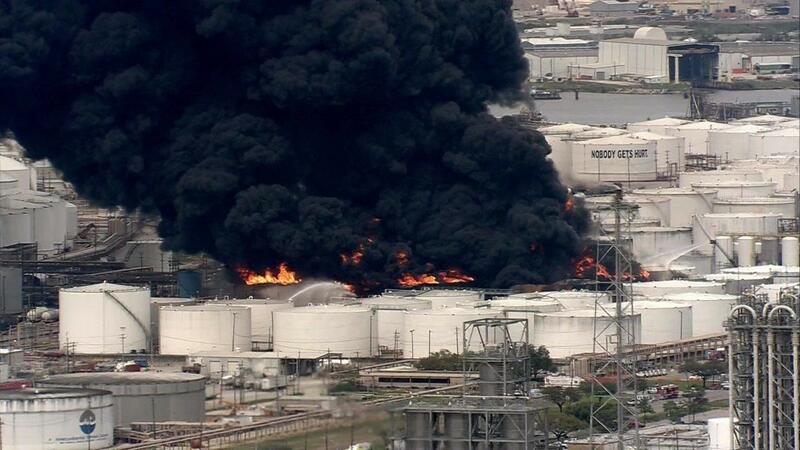 Nearby schools had already been closed for days due to the original fire and parts of the Houston Ship Channel remained closed after a prior dangerous benzene leak at the plant due to the fire. Benzene is a known carcinogen which can cause devastating health effects based on various levels of exposure. Residents have become increasingly anxious over what the Houston Chronicle describes as "volatile compounds sitting in damaged tanks at the petroleum storage facility or streaming into nearby waterways." The new blaze erupted just hours after a wall holding back almost a million gallons of toxic, flammable liquids collapsed, and just two days after the original conflagration was suppressed. Intercontinental Terminals Co., which owns the storage facility in suburban Deer Park, said the tank involved in the new blaze contained xylene, a toxic byproduct of the oil-refining process. Area residents have told local media they've been extremely frustrated at ITC's slowness at informing the public as to true extent and nature of the chemical leaks during their press conferences. As of early Friday afternoon firefighters thought the blaze had been finally extinguished before it flared up again. That anger was on display this week after ITC and city officials attempted to calm the public with messages of "everything is fine" as a blackened toxic cloud dominated the skyline for miles. ITC did confirm one of the first tanks to catch fire had held 4.4 million gallons of pyrolysis gas, which is fuel blend containing benzene, xylene and toluene, and additional compounds.